How to duplicate a track with same settings? Not sure about others, but when developing music (in any sequencer) I often use several tracks (with the exact same instrument and effects) to create one part. I do this mainly when I want to add counterpoint or harmony to the first track—I’ll split each voice in the harmony across multiple tracks (this makes it easier for me to edit later). So my question is, how can I quickly clone (duplicate) a track in the sequencer view with the identical instrument and track settings? Right now I’m having to add a new Obsidian or Slate track, then go to the new instance and choose the same patch—which is time-consuming. Quick follow up: if there is no way to do this currently, it would be great to add an item to the “Add Track” menu that says “Clone selected track” or something similar. Hi dendy—sure, I understand it might take time to add a feature like this (or just not be worth the time). I’m aware that I could simply record over the original part (on the same track) and have the newly-recorded part merged with the original part. But then all the notes end up in one track...which makes it much more difficult to edit if I want to change (or remove) the harmonies later. So having each “voice” of the harmony on its own, separate track makes it easier to edit later. layering - multiple various synths playing same melody.. Like on this screenshot, notes are just on track "Main track". 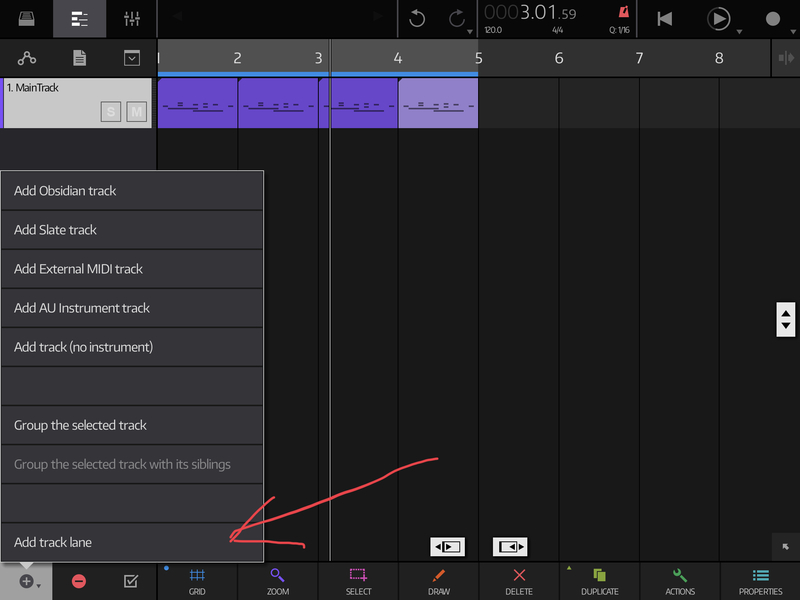 Synth tracks 1,2,3,4 are folded as "child tracks", then in "Main track" mixer settings page is set MIDI send to all those 4 child tracks - which means notes from "Main track" are send to all those 4 tracks. 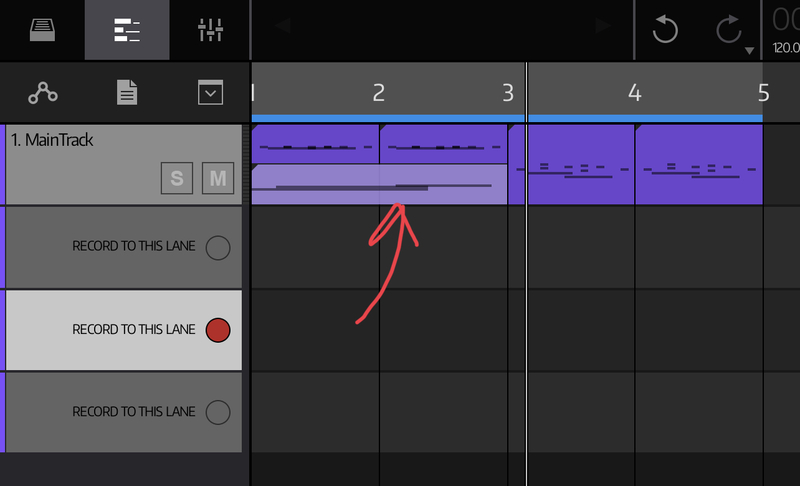 You can add multiple "lanes" to same track - lane are like "copies" of track in sequencer, they just do not have own synths - they send all midi data to same synth. 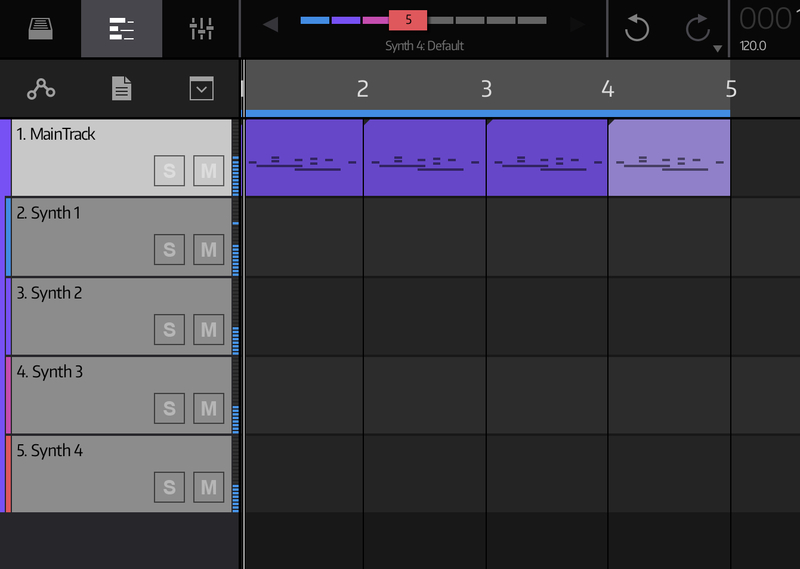 Their purpose is exactly what you want achieve - to have different parts of melodies in sequencer timelime independently, to be able edit or move them on timeline. Additionaly, you can move recorded clip back to main track - in NS2 single track can actually contain multiple clips and you can move/edit them independently - like on last screenshot where i moved recorded clip from track lane back to main track. **AWESOME dendy—thank you!!! **I was totally unaware of track lanes and how they work—and you're right, this does exactly what I want! @SWriverstone Just curious if you looked for how to copy tracks in the manual? Did you not think about Add Track Lane because you didn't know that feature existed? I'm asking to try to get some idea of how to improve the manual. I looked and did not find any info on adding Track Lanes and how they can be used. So, unless it is in a section that I missed, I think we need to add that info to the manual. dendy's awesome instruction is great, but I think most people will look for this info in the manual before they would search old threads looking for some feature they might not anticipate are even in the app. Just curious what your thoughts were. Thanks! I looked and did not find any info on adding Track Lanes and how they can be used. So, unless it is in a section that I missed, I think we need to add that info to the manual. Just took a look. 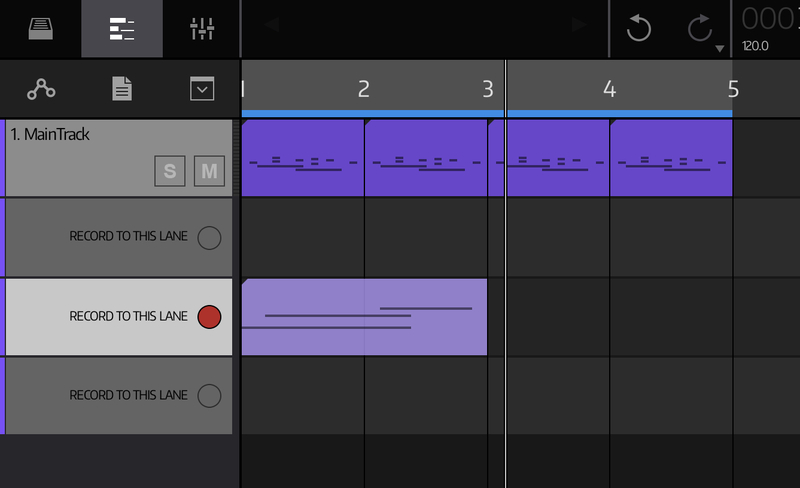 Lanes are decribed in the Song Editor section of the manual.